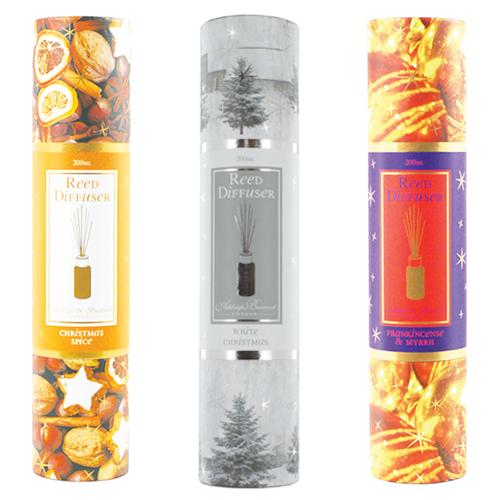 Luscious top notes of frosted winter berries blended with cardamom rise from a warm Yületide heart of myrrh & vanilla. The opulent base notes of golden amber combine with precious woods to complete this invigorating festive fragrance. An attractive 200ml Oil Diffuser beautifully presented in a full colour printed box. Specially scented for the holiday season.